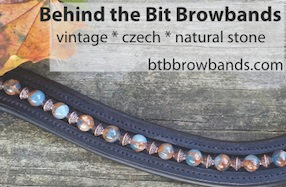 Behind the Bit: Horse show names: A call for reason! Horse show names: A call for reason! When I was a young kid I loved to make up show names for horses I hoped to own. Even as an adult, those threads on bulletin boards begging to "help me name my horse!" have an undeniable allure. Naming other people's horses is fun and easy. Naming your own horse is not. I was stumped when it came to naming Riley. His breeder had named him "De La Rouge" but Bob and I agreed it was too French. I liked Danke Schein a la Wayne Newton but it did not meet my strict guidelines for naming (see below). In the end we picked Delancey. Pick a name that is timeless, or at least good for a few years. Names that are cool today are tragically unhip tomorrow. Somewhere out there is an old, retired horse or pony named MC Hammer or Vanilla Ice. If you want to name your horse iPod or Facebook, think again. Let your horse grow old in dignity. Remember the famous cutting horse Trashadeous? The Chronicle of the Horse once reported on this horse's accomplishments but mistakenly called him "Trashy Dancer." The gorgeous Hanoverian stallion Sir Wanábi (accent on second syllable) had his name mispronounced "Sir Wánnabe" at Devon this year. On COTH a woman lamented that her horse "Land Yacht" has been announced as "Land Yak." Now imagine an announcer grappling with these names (found in show results online): Giouvuanneise; Frans Fan 'E Hurddraversdyk; Kadorijke; and Fferm Gwenfwrd Master Blend. Don't use the sponsor or farm name as a prefix to the horse's name. Margie Goldstein-Engle's horses all start with the same long prefix, "Hidden Creek's Blah Blah." Yuck. 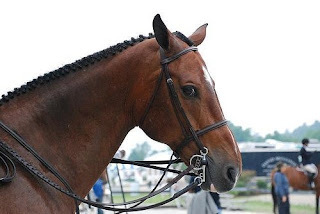 Fleeceworks sponsors several event horses, but having Fleeceworks at the beginning of the name makes it harder to recall the darned horse's name. What to do instead? Many breeding farms use acronyms for their farm name and put them at the end. Rather than "Bridle Path Farm One Time Too Many," for example, the horse is named "One Time Too Many BPF." the Oxford English Dictionary (useful for finding names for horses with naming restrictions) and the thoroughbred horse name database. I read the New Yorker to shake my vocabulary loose a bit and introduce words beyond what I normally use in conversation. "Sofa King Fast", oh boy. I bet they were thinking of how that'd sound over the loudspeaker; like those prank calls Bart Simpson made. That reining horse's name always stumps me. (Trashadeous) I don't hang in the reining circles so I'm never sure exactly how its pronounced. Is it trash-ae-dee-us or is it trash-a-day-us? My friend's filly's barn name is Isis (as in Egyptian goddess, she was named when bought) and Kimfer was so worried it would be pronounced Is Is instead of Ice-Us. Some breeders put their barn abreviation at the beginning of the name, at least with western horses. For example Isis's registered name is JLS Eyed Bee A Jewel. The Morgan tradition is for the Breeder to have a registered farm name to go at the beginning. In some ways this seems odd but it's a long held tradition. You can look at a pedigree and instantly know which of the Morgan sub types is the farm is breeding for. Such as foundation, Lippett, driving, and so on. The registry keeps a prefix list available on their website. Do any of you have ideas for my new little horse? He's 3/4 Arab, 1/4 paint, chestnut (may go liver chestnut next spring) possible flaxen mane/tail. Dad is "EJ Maestro", mom "VR Fire an Spice", granddad "Fire an Ice". He is LR Apollo right now and I'd like to keep that part. The winning name so far with my friends is LR Apollo's Fire. I've never had to name a horse before! I've kind of run out of ideas... Also has any one ever registered a horse and not gotten their first name choice??? LOVE this post. Try this on for size: Princess L'Heureux. Yeah, it's French. Needless to say, we didn't use her registered name for shows. I thought this was such a great post that I could just comment; I wrote a response on my blog and sent people here to read your post. I hope my reader's enjoy it as much as I did! There's a girl that rides in some of the local shows that I photograph at, her horse's name is Watch Me Force You. Memorable, yeah, but not in a good way. My gelding had a great registered name: Etched N Stone, I called him Sketch. And my parents farm name was Diadem Arabians, they would put Diadem in front of everyone's name, or integrate it into it. So Diadem Tiara Baha or Diadem Gold Topaz weren't so bad, but Diatemetrious or Diademitasse would at times baffle the announcer. Diademitasse is my kinda name. Very classy and worth taking the chance that the announcer is capable of pronouncing it. Cdncowgirl, anyone that would mispronounce Isis clearly never watched the made for kids show of my childhood, Isis, most likely a Superwoman knockoff. "Oh zephyr wings that blow on high, lift me now and make me fly!" That's what the heroine said when she had to shed her human form to go fight evil. Great post! I went with the simple one word show name this time: Rendezvous. How about the race horse named Hoof Hearted (say that three times fast). All good advice. Personally I think all of our show names were only one or two words. I always like the names to fit the horses personalities too. Good post. I thought of Hoof Hearted right away too. Trying to fit breeding into the name is tough too. We have a stallion whose barn name is Jaxon, and my son tries to sneak Jax Hit (again, say it fast) past the registry with each and every one of his foals. They catch it every time. I loved the post, especially the one word names. I've been having a terrible time naming my Morgan mare and I must admit I did use the online horse name sites but they were overwhelming. Absolutely hilarious. I'm still laughing. The efforts to include the name of famous sires in the bloodlines get really convoluted. No wonder folks at the barn might just call him Spud instead. I just call her Sinari. When I bred, I included my bloodline name, Winds. I have Winds Shadows Linger, Winds Hearts Desire (black with heart shaped star, called her Desi)Now have a colt we named SR Killian (yes, he looks just like the horse on the beer!) SR for Serenity Ranch, our future farm. I have seen some good names, I liked a dressage horse named Diplomatic Immunity, Pony club eventer called Upwardly Mobile. Coming up with a good name that will last is hard! I don't really know much about horses, but I find your site fascinating. I do like words and truly enjoyed your post on naming horses. Thank you. LOL, I love this post. And you are so right that it's easy to name other people's horses or all your Breyer horses when you're a kid. But when you have to choose a name for your own horse, you draw a blank. 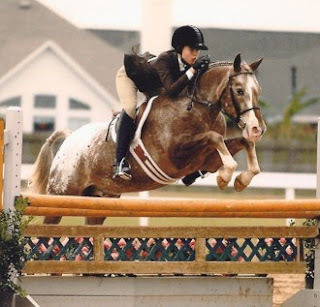 My previous horse, the OTTB mare, came with the papered name "Alto Speranze" which if you know Italian, means "high hopes" but oddly, is in the masculine gender, not female. I did change the first part of her name to "Alta" which is the feminine denotation but left the rest. I wasn't fond of it, but I knew several people who had worked with her at the track and decided to keep her name the same so they would know it was her if we were to win at the hunter shows. Her barn name was "Alta" (among other things, LOL) and there were many times her name was messed up over the loudspeaker if were were announced in the ribbons. When I bought Monty I wanted an easy name. One word with no chance of a mistake in pronunciation. But I couldn't think of any. He came in from a dealer with no name given. We all just called him "the gray". Finally, I chose his "barn name" - Monty, as in "the full Monty" since he took my tiny savings account and a little extra to buy! But his show name was hard. I finally settled on "Solitaire". One word, easy, and accurately describing my "diamond" of a horse. Naming foals can make me crazy. But I always try to stick to bloodlines. For me, everything starts with Scandalous and people now identify that with my farm. It's worked great and the names are easy to pronounce but still get people's attention. Ha! Some of those names are really funny! A good one I own (he came with this name): Big Time Hotrodder. P.S. this is my favorite BTB article. Just rereading the post, and I still get a kick out of it! I love hearing about how people name their horses. In my previous comment I forgot to mention my younger horses, Willow, Faith, Glory, and Willow's foal Alexander aka Xander (though we call him Alex). I'm a bit of a Buffy the Vampire Slayer fan! What a fun subject! My best friend and I spent hours as kids cutting pictures out of her mom's old Arabian Horse Times magazines, mixing and matching and coming up with the wildest, most unpronounceable names for the offspring. :o) Good times! A horse at our barn is named Maserati i almost laughed when i saw that! Hey, I just got a horse, her name is Autumn! Shes quite the stunner! Iv thought of a few show names! We have a horse that we alwats breed and almost all of her babies have Wind in their name. Its really cool. There's March Wind, Blue Wind, Gamble with the Wind, and Tag The Wind. Its really nice to know that you rhorse will always have a certain name. I just registered my new filly and named her Simply Noble. I got it from her mom who is Simply Compatible and her dad who is Noble Houston. Try to combine the parents and you could come up with some good stuff. My pony's name is like that too, and since she's a Welsh Pony and her bloodline is Fox Cry, her name is Fox Cry Bubbleious Rox, but we call her Roxie as a barn name. Her mom was Bubbles In a Bottle and her dads name is Fox Cry Rose Cumberbund. I just registered my new filly and named her Simply Noble. This is from her mom who is Simply Compatible and from her dad who is Noble Houston. Try combining the names and you could come up with something good. My friend recently got a new horse, which she planned to show in the canter x-rails at academy shows. It came with the name, "My Hurricane Romance." She decided to change the name. Also, there is a horse on my circut called "Just a Little Superstitious," and by the time the announcer says it the horse is already halfway done with the course! When I bought my first pony- she was a very furry, fat pony with no lead change- she was named Six Gems Katasha. It didn't fit. My new horse's racing name was Knightly Deed...yeah. Not a prostitute. So his show name will certainly change haha. This has been so helpfull!!! I mean, I was sooooo close to naming my horse golden oak's prancing lady, but I didn't. Her name is graziosa bellezza, or gracious beauty in english. Her barn naem is Grace. One of the joys of Standardbred-ownership is roundfiling the race names. What on earth would YOU call a plain brown mare registered as "Fort Reflection"? Ugh. She got registered with AERC as "Story." Then there's "Naked Willow" ---eeek. She became "Fiddle." And these names fit your criteria, too: Timeless. Spellable. Pronouncable. Not even slightly embarrassing...and if there's another children's librarian in camp somewhere, we smile at each other over the things I name my mares. I love this post. Luckily, my horse's registered name is easy enough to use as a show name: Lemon Supreme. It makes sense with her bloodlines and the fact that she's a palomino. Now if the announcers could pronounce my name right, it would be perfect. hey I was wonderinig if Pineapple Express would be a good show name for my colt, who is going to a dark/seal bay with 3 socks. If you have any suggestions please let me know. Hey what do you guys think of Coeur D'or or Piece de Resistance? I want something french. He's a 17hh Quarter horse, nicest guy ever. If you're going to go w/a foreign language make sure it'll be pronounceable. Piece sounds like a word no one will get right. What color is he or she? My horses's show name is Pandora's Pride. It includes alliteration, which makes it catchy. My other pony, (who will shortly be leaving me) is called Toff/Taff man Riverdance. We did not create this, as it was already given her at her stud; PaddockLine. Her mother was Paddock fairy charm. My sister's pony is; Life's a beach. As his name is 'Beach'. Hey im stumped on choosing a name for my horse, i was wandering if you had any ideas? Hes a Grey thoroughbred gelding 16hh, His name is Tom and i just can't think of a show name? his racing name was Divorced. I like Criss Cross Applesauce!! I think it's kinda cute!! I like this post, I have a horse named Rocky. He's a bay paint. I don't need a show name because I don't show but this is an interesting site! I'm am so thrilled someone knows a pony I once rode. Fferm Gwenfrwd Master Blend:) His name was insanely hard to pronounce but he was a blast to show. Most welsh ponies and other european breeds have hard to pronounce names.. it's just a fact..
i have a welsh also, her registered name is " Fox Cry Bubbleious Rox" therefor whenever the judges try to say my ponys name they get confused. We call my pony Roxie. I read a post by someone named Megan who had a new horse posted in 2008. Has a horse with a mother VR Fire an Spice. I just wanted to say that she is my horse!!! I have been trying to find her offsprings for a while and typed her name into google and this came up! Shes from Fire an Ice and Heathers Heathen. My favorites are Totally Rapt in Gold, Black Tie Affair, Miss Step in Silver, Simply Silky, and Daddy's Pay Check ( I love this one!). Me and my friend bought a 6 month old Hackney pony off craigslist for $50. We couldn't think of a name for her, but we finally decided on Polymono Jenga-Shy. We each took our two favorite childhood games (flipped monolpoly around for the sake of the pony and it sounds cuter) and then added "Shy" because it fit her personality. She goes by Jenga around the farm, or "Baby Pony". Hopefully I will get a gelding pony at some point and I want to name him either Phenomenon (and call him Phin) or Troubadour. I have an unregistered/un-tattooed Thoroughbred mare. She had no name when my mom bought her, but she responded to Jaz, so I ended up naming her Jazmin (always wanted a horse with that name for some reason). And it took awhile to come up with the perfect show name. My mom started calling her My Wildest Dream, but I didn't like it (honestly, I didn't want her in the beginning, it was mom that wanted her and forced me to ride her). Then we changed her name to Divine Intervention, but that still didn't sit well with me. Eventually I came up with the name I still use to this day... Priceless. My friend has an OTTB with the name Billy Can Dance. We call him Dancer, but because of his show name, everyone thinks his name is Billy. You have some great ideas for show names! I can't find one for my horse that really fits him. He's kinda grumpy and he's got an attitude, but he is an amazing jumper. His name is zippy and he's an appaloosa. Any ideas?? im not sure how to add a picture but i would if i could! All of my family's horses have funky names: Jeepers Creepers, Shanti's Curse, Arizona Sunset, Shyloh's Calling and Freedom's Legacy. What do you think of All Exculsive? Also can you think of a name with Elegant or Elegance in it? does your horse have to be registered to have a show name if you only go in local shows and stuff like that? ~I also need a couple more names... one for a dun horse with 4 white socks and a blonde mane. She's a female cross country horse. The other is for a trail horse. He is a sorrel paint quarter horse. Hope you like my names and thanks for reading! Please help me! Name suggestions? I have a paint who's black, white, and brown named Tri (because he's tri-colored).. I was thinking "Tried and true" ? What about, "Shesa Destined Dream" for my mare named Dream? Anyone think of something else please let me know! hi are there any options for my baby called Ava. She is a chestnut mare and about 14.2 or 14.3 hands. she has a gentle nature and has a blaze and four white socks and she is around 4 yrs old. We have a beautiful warmblood which was in a bad state when we bought her after weeks of good food and plenty TLC she looking stunning a totally different horse we need a show name for her now her name is Shilo i though of something with maybe peace in it any ideas please . I also have a quarter horse mare and her name is Rockin' Lady ... And I've always loved her name !!!!! my miniture cross shetland is called Ella whats a show name for her? urgenlty need one and she really cheeky! Any ideas for a good show name for my horse Angel?